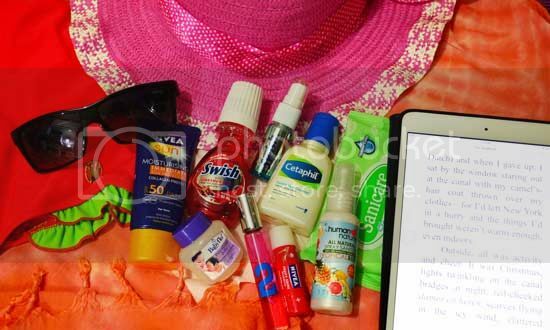 WHAT ONE ITEM YOU CAN’T TRAVEL WITHOUT? Hello everyone, hope you're all doing good. I have a feeling you're all winding down after weeks of juggling schedules with your children's end of school programs and getting high with your kids bagging awards on their graduations as well. The excitement has died down I guess, and we all can breathe in peace now. Oh, I thought so we can, but we just can’t. Because, another episode of life's excitement is yet to come - summer and vacation! 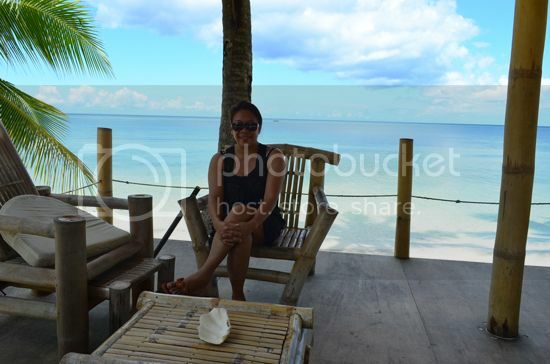 I know you have your summer vacation scheduled ahead of time, and by now, I can see excited and giddy faces packing up for the much-awaited pleasures in the sun. I know you have your travel check list ready and just in case you are forgetting something, there is one important must-have you should include in that list - your hygiene kit with a mouthwash on it. Traveling is so much fun but sometimes no matter how we put comfort in our travel plans there is always this margin or incidents for discomfort waiting to happen. And I think you'll all agree, this part is where we're priming at. Forgive my 'OCness', I'm just a comfy traveller, jejeje. Getting and staying clean and fresh is a luxury when you're on mobile, especially when navigating under tight schedules and moving around places and spaces you are not so familiar with. You can't take a bath, you can't brush your teeth, can't pee under crazy circumstance either. But here's a tip, (that one item I was saying I can't travel without) bring along a mouthwash with you. It'll save you time and sanity especially on long hauls, long bus trips and taut trip arranges in between. Trust me, been there, done that. These are few of my trusted names when I’m on the road, on sea or on air. Actually, the truth is, there ain’t no one item I can’t travel without, there are many of them, lol. They always say - travel light. Well, I do. Can’t you see? These babies come in all their light glories - travel sizes; it’s just that my bag is too small for them. (LOL) Seriously, I hope one day I can travel without baggage to check in or extra kilos to worry about. But heck, that mother packer in me is such a long-standing habit that’s really hard to break. I also pack Swish Breath Spray with me. It’s my day bag mainstay hygiene back-up actually. It’s because when I'm on vacation the others stay at the hotel/resort bathroom counter. I bring my own, you can't choose names/brands with hotel/resort freebies. And one more thing, buying items at the resort are ultra expensive, they always make me swear. Anyway, back to the hygiene kit. Few weeks ago, I have tested a worthy mouthwash brand, so worthy that I will recommend you should pack it with you. I have used this in the past, in fact I have made a review of this product a month ago, you can read it HERE. The Swish mouthwash is what I’m talking about. It’s a revolutionary product that you won’t think twice using when it comes to personal care items. 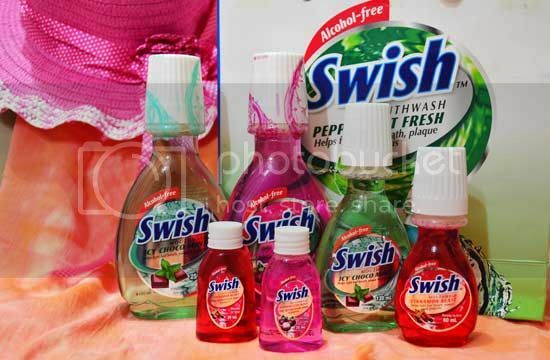 Swish, first of all, is alcohol-free, hence, it is safe to use every single time you felt like cleaning or gargling up. It’s powered by Surefresh Technology that eradicates bad breath causing bacteria, plaque and gingivitis. Swish mouthwash is so flexible when it comes to packaging their product. They have family bottles (250ml/120ml) perfect for everyone’s use in the household. The 60ml bottle can fit in anyone’s travel hygiene kit without any hassle at all, just the right size when you’re on extended vacation days too. The 35ml bottle is a petite occasion savior. It occupies so little space, you can easily slip it in your party purse or ‘kikay kit’ like it’s not there at all. Talk about traveling light, light chiffon type of clothing, many-in-one type of maxi dress and leggings occupy so little space in your luggage and certainly weigh less - so I'm very sure they're the best clothing option to pack. So there ladies, don't forget to pack your Swish travel buddy this summer and get Swished all the way! Good Luck and enjoy your Swish summer vacation!